Eduardo Guadardo may look fluffy. He may look cute. But he’s no little lamb. 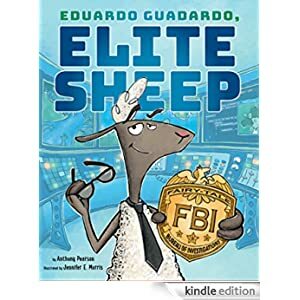 He’s about to graduate from the FBI—that’s the Fairytale Bureau of Investigations—as an Elite Sheep. He knows five forms of kung fu, and he can outfox the foxiest of foxes. This fun Kindle Fire book is for readers ages 3-6 and is selling for only 99 cents today.